"The Lord Jesus did not come to transform humanity as such; He came to indwell humanity and be the Life we live." It appears that the priest and king of Salem first introduced Abram to the names of Elyon (Most High God) and Elohim (Creator and possessor of heaven and earth). 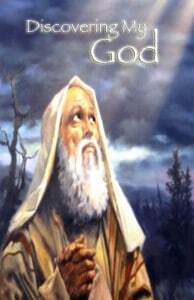 Abram had experienced this God and Melchizedek helped him to understand, by name, the character of the One he had met. In much the same way, the Spirit of Christ has to reveal the Father following life’s trials. We often cannot see Him in the midst of it, only after it’s over and we look back. Life-as-it-comes ever shows us new aspects of our Heavenly Father.